Last year, EA and Lucasfilm announced Star Wars Jedi: Fallen Order, an upcoming game developed by Respawn. At Star Wars Celebration, EA dropped the first trailer for the game. But more importantly, Respawn’s Vince Zampella assured fans at the Fallen Order reveal that it is a single player game free of multiplayer or microtransactions. It might even be the Star Wars game fans have been asking for. The game follows Cal Kestis, a former Padawan who survived the Jedi purge of Order 66. In the Fallen Order reveal trailer, Cal goes over his rules of survival. Essentially, Cal thinks he can blend in forever by simply hiding from who and what he is. However, circumstances force Cal to reveal himself in front of an Imperial probe droid. After that, Cal becomes a target of the Empire and an Inquisitor named the Second Sister. The trailer also introduces BD-1, Cal’s droid. As seen in the trailer, Cal does possess significant Force abilities and his own lightsaber. Additionally, Cal won’t be the only Force user in the game beyond the Second Sister. Monaghan indicated that Cal will come across others like himself, and form a makeshift family with them. Star Wars Jedi: Fallen Order will arrive on November 15 for Playstation 4, X-Box One, and PC. 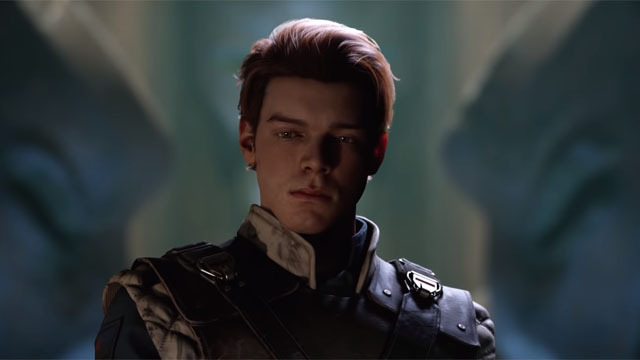 What do you think about the Star Wars Jedi: Fallen Order reveal trailer? Let us know in the comment section below!